That is true Tyler. This is a well known fact. Ritter, I think I know why you are getting a DNF on some stages with custom pacenotes (such as Lousada). The game seems to give a DNF if pacenote calls are placed too close to split points. I try to make sure I keep at least 10m between calls and splits now, and haven't had the issue since. Hopefully this helps. I can confim this issue. Never had it again since i place my pacenotes like you a little bit away from splits or start/finish. 5 meters should always be enough in both directions. But this is well known by now at least afaik. Big thanks Tyler, i didnt know that. First time i ve heared that!!! Yeah ok, i will check my pacenotes and test it agian next time. Many thanks to you and thanks Hadi! Thanks to all competitors for participating in this year's VRC season! First of all, thank you to Latex for sharing the GVRC platform for our Championships. 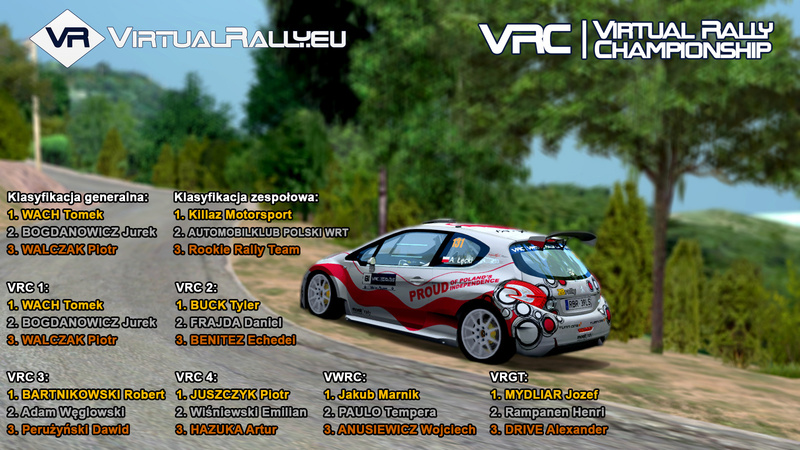 It was a pleasure to be able to lead the Championship on GVRC I hope that our cooperation next year will be equally successful. Thank you to the German community! I hope that our cooperation next year will be equally successful. Same for me Mateusz. I hope next years cooperation will be a bit more active from my side. Thanks to you and your team for this wonderful championship . May next years version even be more successful. It goes without saying that this excellent championship should be supported and I liked to do it. Keine Ankündigung mehr, kein Livetiming. Wäre schön, wenn ihr diese tolle Meisterschaft weiterhin hier präsentieren würdet. You do not make any more announcements and there is nothing in the live timing also. Would be great if you continue to present this great rallye series here.